Along its main street -- Highway 32 / North Branch Street / Branch Street -- are preserved an array of buildings and artifacts related to Wabeno's logging and overall history. Plan to spend a few hours; there's lots to see! There are many things to see in Wabeno! 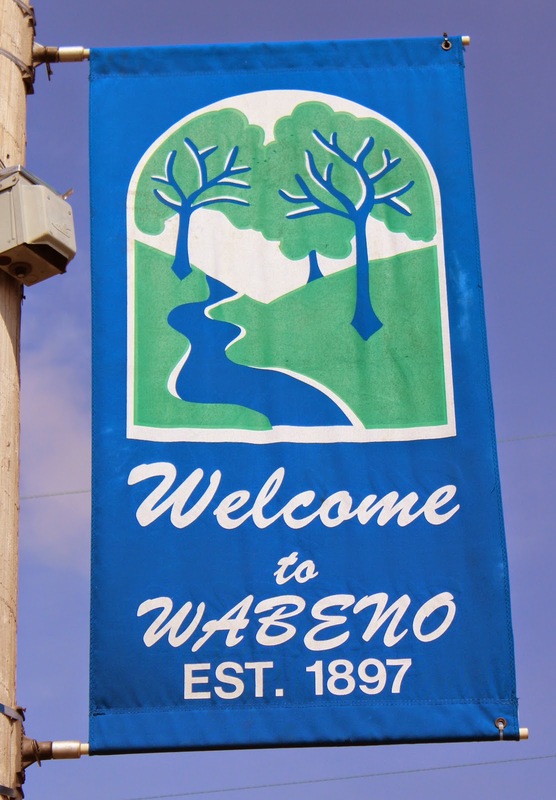 Use the "Town of Wabeno" link below to view all posts on this website. The landmark Wabeno Public Library is housed in one of the first buildings built in the town. It was built by the Chicago and Northwestern Railroad Company for use as a land office in 1897. It was purchased by the town in 1923 and is one of the most quaint and charming log libraries in the state. Open 6 days a week, the library is one of the few libraries where books are signed out using a card system rather than an electronic check out. The Wabeno Library was placed on the Wisconsin State Register of Historical Places on October 27, 1993, and the National Registry of Historic Places on December 23, 1993. The first schoolhouse was built in 1897. It was a one room building which officially began instruction in 1898 with just four pupils (as required by state law). As the student population grew, classes were held in various locations around town until 1920, when the two elementary schools were built. The building was purchased by J.W. Norris who ran The Advertizer newspaper and a printing office into the 1980s. In 1997, the townspeople moved the one-room schoolhouse next to the public library and restored it to it's original condition. The school is open for visitors during the summer months. The tree from which this log was taken contained five sixteen foot logs and one fourteen foot log. The total scale of the six logs was nine thousand feet. This log was cut near Wabeno in January 1925 and presented to the town by Mr. C.W. Jones of Appleton, Wisconsin, as a memorial to the monarchs of the forest of this locality." The state registry of historic places noted that the Douglas Fir Log donated by the Jones Lumber Company in 1925 "represents the role the Library plays in being a repository of the history of the locality. Therefore, it is considered a contributing object." The “Big Wheels”, also known as “katydids”, were once used to move logs out of the forest by chaining them underneath the axle. The 9-to-10-foot high wheels made it easier to transport the logs without the need for icy ground. Larry the Logroller has stood in this spot in the center of Wabeno for decades, wheeling his log hauler hook and reminding folks of the loggers of old. 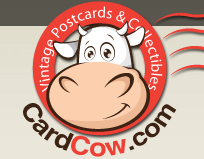 He's got his own posts on my website. Visit him here: Larry the Logroller (Back in Town) and Larry the Logroller. Larry is stands between Wabeno's Band Stand and Logging Museum. Built around 1940, the Band Shell has been a mainstay for entertainment and local Memorial Day ceremonies in downtown Wabeno. Wabeno boasts a Logging Museum built in 1941 by the Wabeno Lions Club, which contains memorabilia and records preserved in a replica of an old logging camp to present a nostalgic picture of the most colorful era in Forest County history. The building is a genuine notched log structure built in the same fashion as logging camps that dotted Forest County. It contains almost everything needed to do hardwood logging. The only thing missing is the complete harness for the horse. The museum is open May through September and staffed with volunteers to answer questions and suggest other local attractions. The Museum has its own link on this website; check it out here: Wabeno Logging Museum. Wabeno has one of the few remaining steam powered logging haulers still operational in the nation. It is one of 200 such machines built in the early 1900s by Phoenix Manufacturing Company. It was owned by the Jones Lumber Company and used at their mill from 1909 until 1935. It was bought by the town in 1944 and restored to life in 1965. The Phoenix is operated annually during the Wabeno Steam-Up Days. The "Phoenix" has its own link on this website; check it out here: 1901 Phoenix Log Hauler. Wabeno's annual Steam-Up Days celebrates all this Wabeno aka all things logging. This year (2014) the event will be held July 11-13. I'm planning to be there to see the Phoenix fired up! Located at 1784 Maple Avenue in Wabeno, the Big Easel Gallery and Bistro is home to the Wabeno Arts Consortium and one of the best restaurants I've ever eaten in (yah, that's ever). If you want to eat here, you'll need to have reservations! The place packs to the gills. I know very little about this history of this historic home; once I've learned it, it will be added. The M4 Sherman tank stands near the Wabeno American Legion Hall. It was secured by Wabeno Veterans of WWII as a memorial to Wabeno soldiers who died during the war. The tank was driven from the National Guard tank battalion in Merrill to Wabeno, a trip of 61 miles, on January 25, 1958. The trip took 3 and 3/4 hours, used 135 gallons of gas with a top speed of 35 mph. 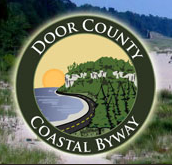 Best Tasting Water in Wisconsin! WBAW-TV Channel 7: Wabeno's Water (tells the story). 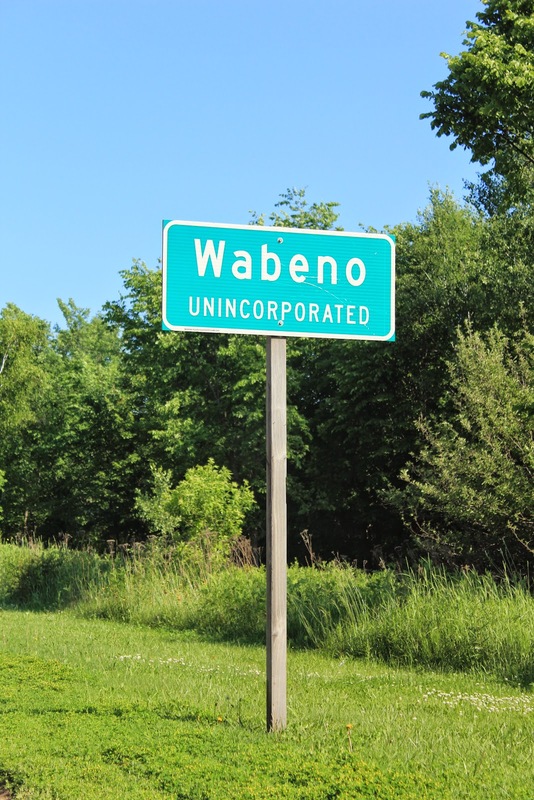 So small, Wabeno's not even incorporated!